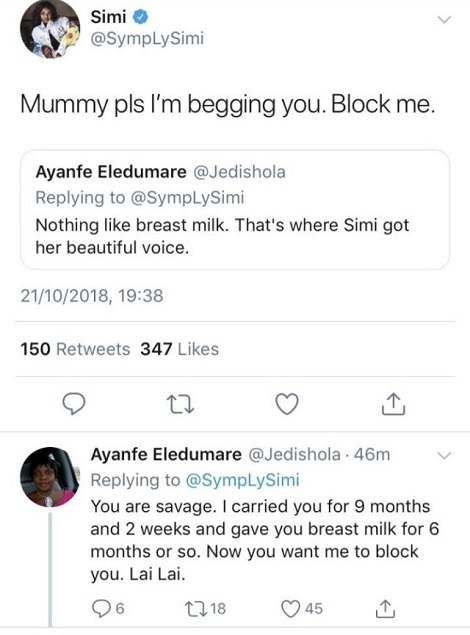 Simi's mom has once again jumped into her conversation on twitter. 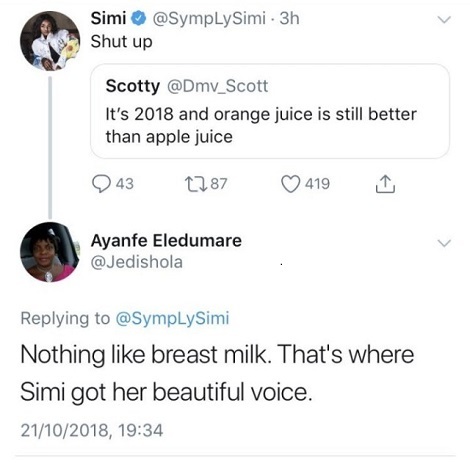 Simi was reply to a tweet that says it's 2018 and Orange juice is still better than Apple juice, when her mother jumped on it saying, her sweet voice came from breast milk. 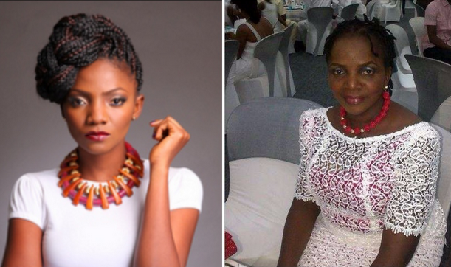 Simi then begged her mom to stop jumping on her conversations and she should please block her.